More of the same. 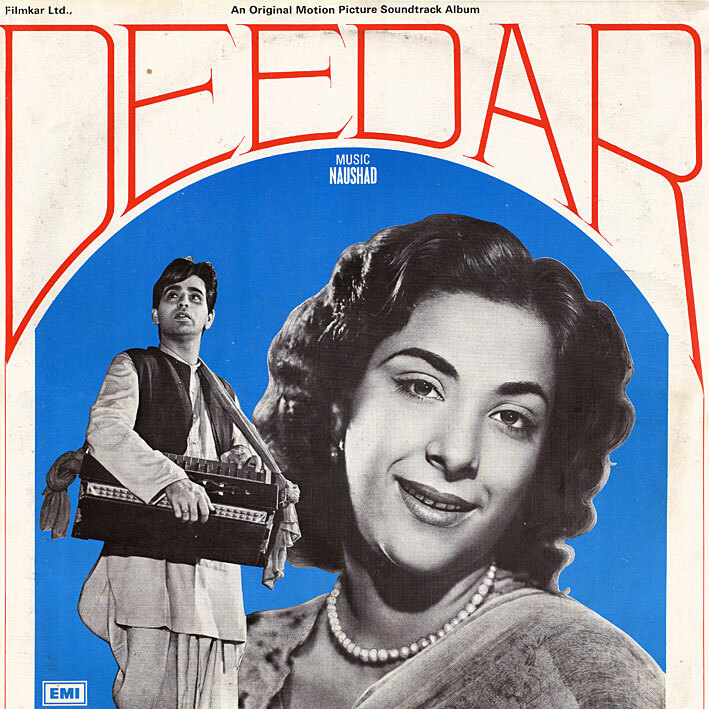 The songs on Naushad's 'Deedar' aren't quite as memorable as on some of his more famous scores... but still, a pleasant enough soundtrack, recorded in the early 50s. 'Bachpan Ke Din' and 'Le Ja Meri Duaen' are my favourites from this I think. The links (for Andaz and Deedar) seem to be broken, would you mind providing a new link? Thanks for your time and beautiful work. It's greatly appreciated.